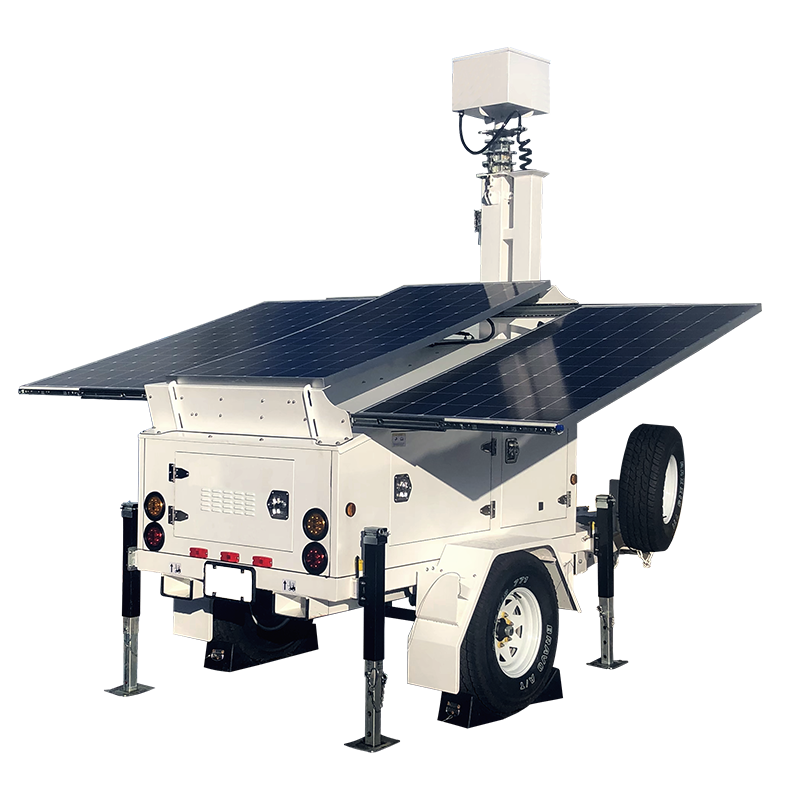 surveillance trailer with infinite possibilities. 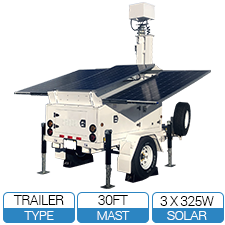 The trailer can be set up by just one person, putting lighting, motion detectors, infrared cameras, and HD cameras at your fingertips in minutes. 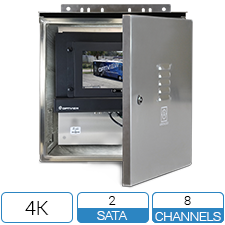 The AL3500 combines speed and flexibility to give you security the way that YOU need it. 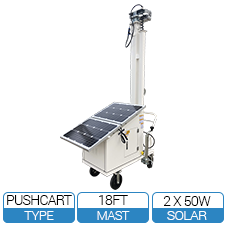 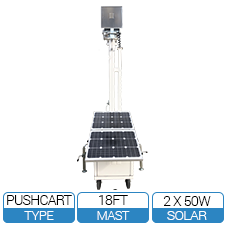 Using the solar panels, the unit can operate 24/7. 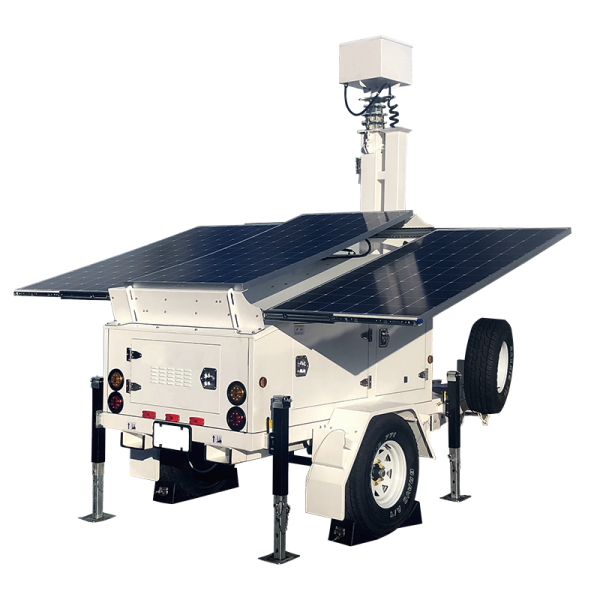 The AL3500 Trailer’s 30’ retractable mast puts eyes in the sky, and optional 4G connection means that you can monitor your work site or event space from any web enabled device.